The Lake District is known for its outstanding beauty, but equally as well respected are some of the area’s great minds. 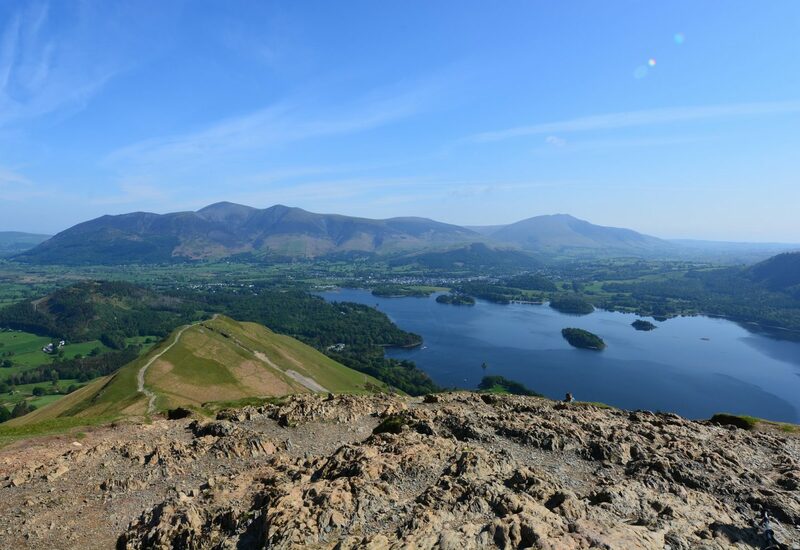 Because of its wild beauty, Lakeland was very attractive to a number of creatively minded people, whose footsteps you can follow by visiting a number of interesting locations around the Lake District. Wordsworth is possibly the most famous British Romantic poet, and certainly the most famous of the group known as the ‘Lake Poets’, but all of them made literary contributions to describing the Lake District’s beauty. Although they never referred to themselves as the Lake Poets, William Wordsworth, Samuel Taylor Coleridge and Robert Southey, alongside a number of others, are nowadays known for their poetic themes of nature, innocence and growth, as well as for their rejection of the creeping industrialisation of the British countryside. They found their perfect home in the Lake District – an untamed wilderness and rural lifestyle that appealed to everything they believed in – and so much of their poetry reflects the time they spent here. Visiting the Wordsworth Museum in Grasmere gives you the chance to understand the history of these great poets, as well as experience first-hand some of the beauty that they themselves wrote about. Beatrix Potter’s interest in the Lake District began as a small child, when she first visited it at the age of 11. Drawings she created during her visits were the inspiration for her most famous characters – Peter Rabbit, Benjamin Bunny, Squirrel Nutkin and more – as well as many of the locations in her books. Beatrix Potter used much of the revenue from her books to buy a farm in Near Sawrey, gradually increasing the amount of pasture she owned and eventually moving there with her new husband William Heelis. Delighted with her country life, she took a keen interest in breeding and raising Herdwick Sheep, Lakeland’s famous breed, winning numerous awards for her flock. As a lover of the Lake District, Beatrix Potter was active in conservation, and left nearly all the property in her will to the National Trust. Her legacy can be explored in her old farm house at Hill Top, through her illustrations at the Beatrix Potter Gallery or brought to life at the World of Beatrix Potter Attraction. Although Ruskin only moved to Coniston later in life, many of his ideals find a natural home in the freedom and wild landscape of the Lakeland Fells. An art critic and a philanthropist, Ruskin’s legacy is one of equality and sustainability, often considered to be in line with modern thoughts of environmentalism and freedom. As an art critic, Ruskin believed that an artist’s role was to be true to nature more than the mechanical techniques of drawing or painting, and his ideas also influenced the Pre-Raphaelites whom he later patronised. As a philosopher and philanthropist, Ruskin in his later years became an opponent of industrial capitalism and the growing political economy. His works influenced the idea of a “social economy” formed by not-for-profit organisations such as charities and NGOs. Today you can explore Ruskin’s life at the Ruskin museum in Coniston, or see some of his work in the Ruskin library at Lancaster University, just down the road from Hawthorns Caravan Park. Though he is most famous for his series of children’s stories, Swallows and Amazons, Arthur Ransome lived a very troubled and complicated life before he moved to the Lake District. His father died when he was 13, and he dropped out of college to become a writer, having to take low paying jobs to keep him going in the meantime. His first marriage, at the age of 25, went badly, and in 1913 he fled his family to live in Russia, where he was a useful agent for British Intelligence, but placed under much suspicion for it as a result. Managing to secure a divorce in 1924, Arthur was able to return to England to live in the Lake District, where he began writing his most famous series, with his new wife Evgenia, with whom he was happily married for the rest of his life. The Lake District had a strong impact on Ransome’s Swallows and Amazons series, with much of the geography of the books being inspired by the area. Arthur Ransome sadly doesn’t yet have a dedicated museum, though the Arthur Ransome Trust is working to establish one based in the South Lake District. Until then, you can visit the Lakeland Museum’s ‘Arthur Ransome Room’, which hosts his desk, typewriter and a collection of his work, or find out more about him from the ART website. Alfred Wainwright is our most contemporary figure on this list, having been born in 1907 and passing away only 24 years ago in 1991. During his lifetime he did much for the Lake District, most famously creating the Pictorial Guides to the Lakeland Fells, written and even drawn by Wainwright himself. The influence of Wainwright’s Lake District guides cannot be understated, having undergone printings of a second edition, and a third edition currently being planned. For all avid Lakeland walkers and admirers of scenery, these excellently drawn and scribed works are a huge influence, and one for which Wainwright earned his MBE. Wainwright also created the Coast to Coast Walk, one of the most popular long distance walks in the country from St. Bees in Cumbria to Robin Hood’s Bay in Yorkshire. The best way to understand more about Wainwright is to read his Pictorial Guides to the Lakeland Fells, but you can also visit the Wainwright Society’s website. Thus far there is no museum dedicated to Alfred Wainwright, though events are occasionally held in Cumbrian museums. Although the popularity of the Lake District has boomed in modern times, the themes and ideals that these great minds saw in the area are still very much alive; the unbound wilderness stretching to the horizon, beautiful in sunshine or rain, offering an unlimited sense of freedom. 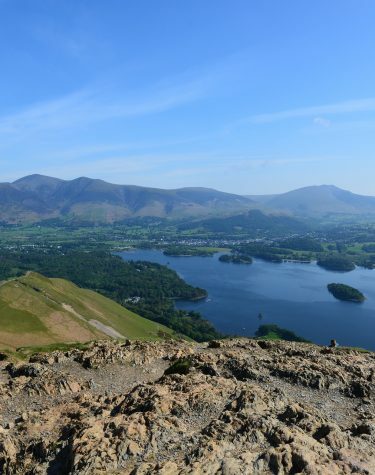 These feelings will forever be a part of the Lake District, and by following in their footsteps, you can really begin to understand how these historical figures were inspired.